The next boss of Microsoft needs a “less is more” mindset. 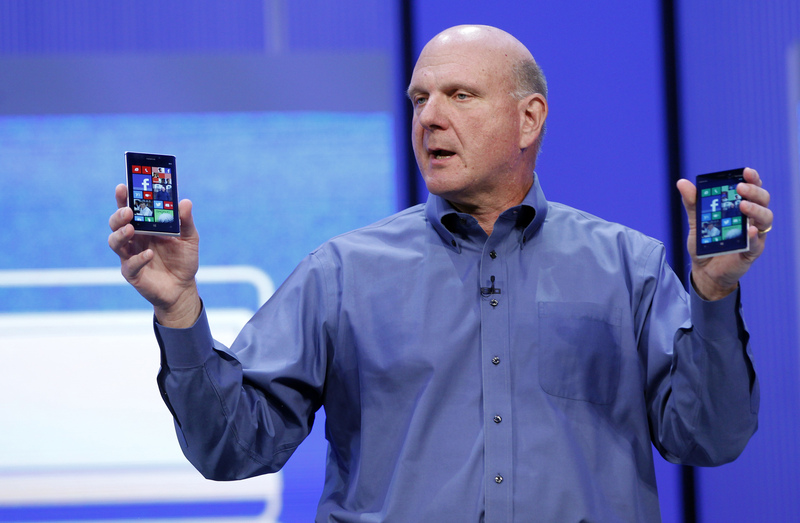 Chief Executive Steve Ballmer is finally on the way out. A $20 billion bump in the company’s value following the news shows just how badly investors wanted a new approach. The wasteful “try everything” strategy should go. Ballmer inherited a near-monopoly in the Windows operating system and Office productivity software, and he has done well fattening up that cash cow. Microsoft earned $22 billion last year, more than twice as much as in 2000, when he became CEO. But his empire-building ambitions are evident in sales, which have increased more than three-fold. About three-quarters of profit still comes from Windows, Office and the like, with the company’s server & tools division making up most of the rest. The online services division, which contains search engine Bing, has been bleeding cash, losing $12 billion in the past three years alone. The entertainment and devices division is in the black, but hasn’t yet come close to recouping its cost of capital. Its missteps include the awful Zune music player and Kin phone. The company says it still wants to sell more devices and has only just started its push in that direction. The firm also says it might take up to a year to find a new CEO. Insiders like Terry Myerson, in charge of operating systems, could be in the running, as could exiled former rivals to Ballmer like Paul Maritz and dark-horse outsiders like Facebook’s Sheryl Sandberg. Whoever lands the job can score quick points by narrowing the focus on business software, at least to begin with. Selling the Xbox gaming unit could bring in some extra capital. Shutting down or spinning off search and Microsoft’s efforts in mobile devices would reduce losses such as the $900 million writedown it took on its Surface tablets in July. It would also allow the company to concentrate on things like making Office work well on gadgets such as Apple’s iPad. Concentrating on business software would also make Microsoft simpler to understand and manage, tasks that became more complicated-looking in Ballmer’s last reorganization. Shareholders would surely be happy with the prospect of higher cash returns, too. Even the outgoing CEO might find solace. The promise of his departure boosted the value of his 4 percent stake by approaching $1 billion, and real change would deliver more. Microsoft on Aug. 23 announced that Chief Executive Steve Ballmer will retire within the next 12 months once a successor is chosen. Ballmer has been the company’s CEO since 2000. The Microsoft board of directors has convened a special committee to find a new CEO, comprising lead independent director John Thompson, Chairman Bill Gates, and the heads of the audit and compensation committees. Microsoft shares rose as much as 8 percent following the news.